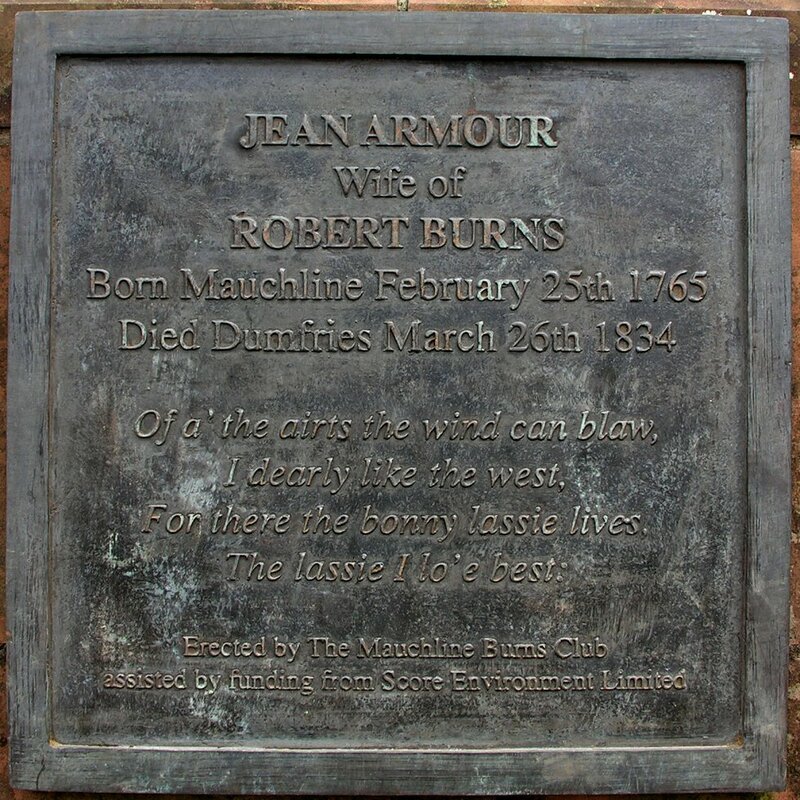 See how many of these placques you have seen in your travels around Mauchline. 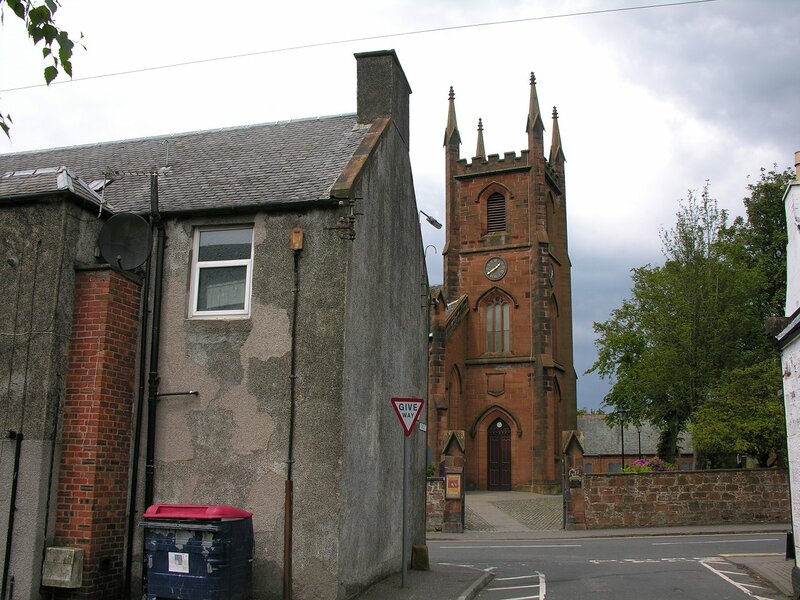 Many residents pass these echos of the past every day without even seeing them. 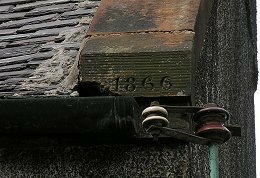 I shall add as many as possible to this page, which will include old dates on buildings. 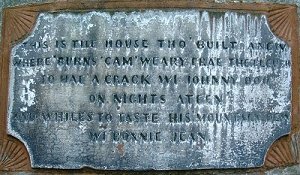 Left: This plaque is on the gable of the Pet Shop, next to the fire station. 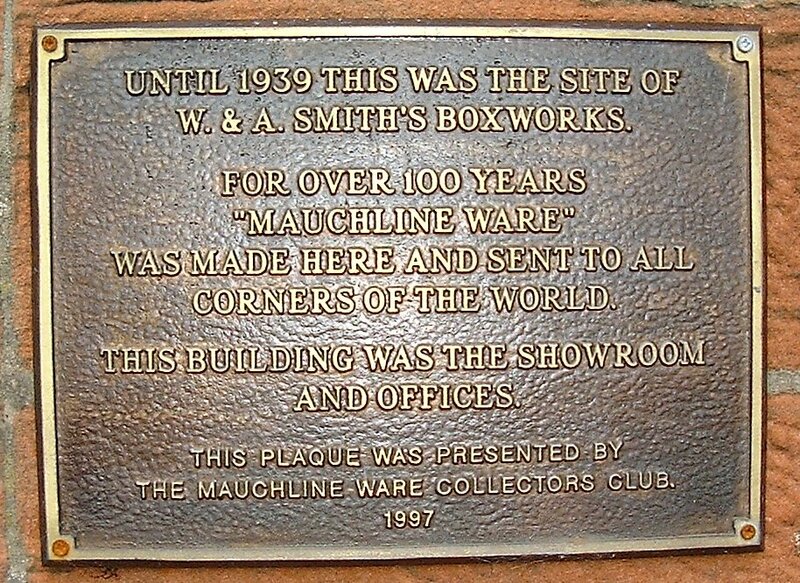 This is the site of the Smiths Mauchline Boxworks factory on the Kilmarnock Road. 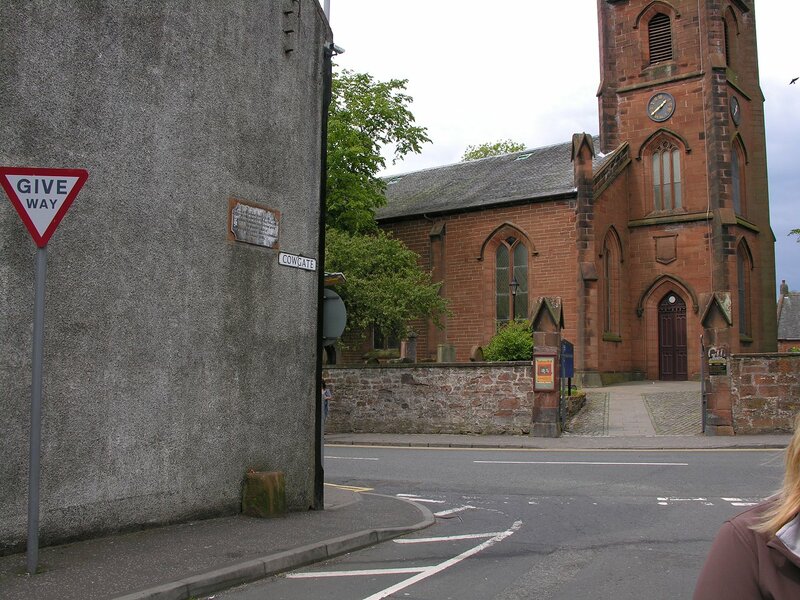 Right: The plaque on the right is found in the back lanes from Kilmarnock Road, to the Loudoun Car Park. 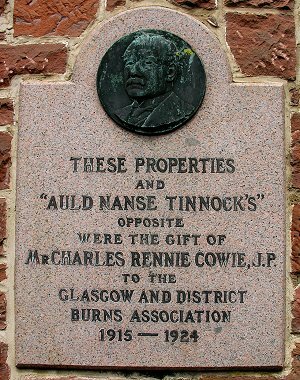 (The Well Brae) Is that a deliberate spelling mistake at the bottom line of this plaque?? It is said that when the Boxworks was working, the boys would have been sent to the Well Brae to fill up with drinking water. 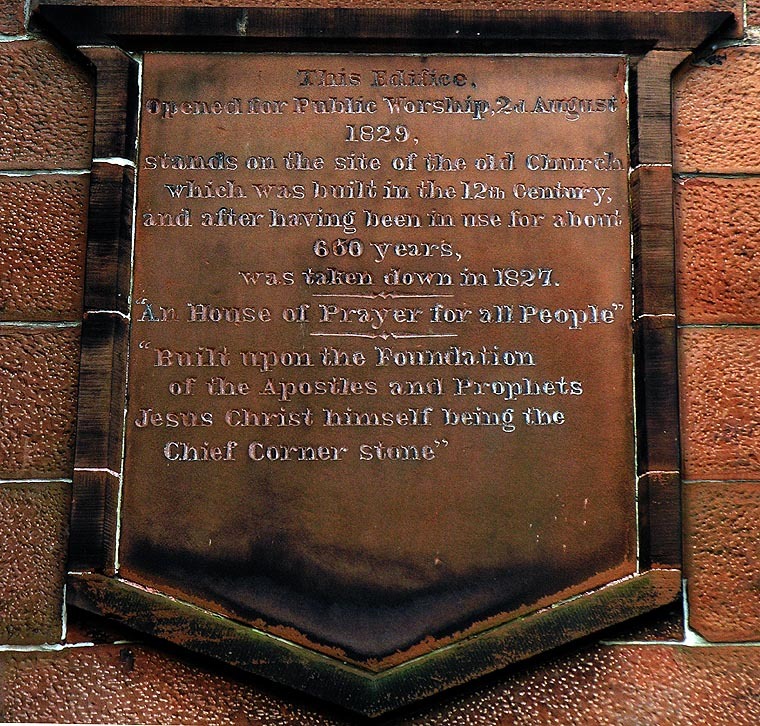 This old sandstone plaque can be seen high above the door on the side of the Parish Church, but is not particularly readable from street level. Getting a decent photo is difficult enough. 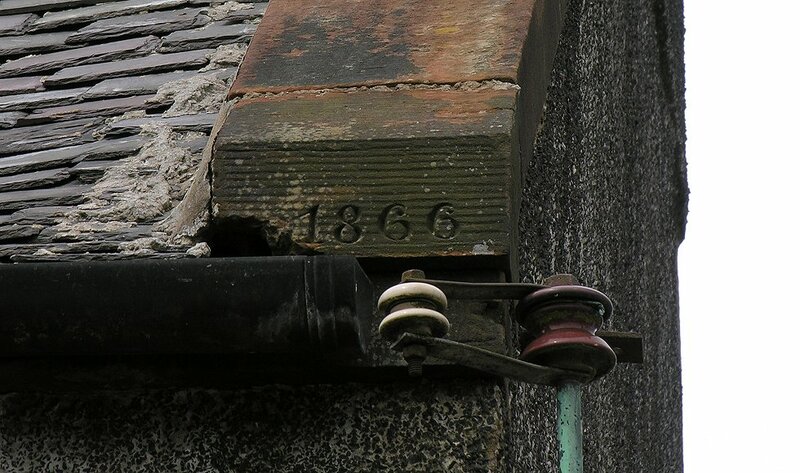 The right hand image shows the plaque on the side of R&R Sports, which formerly was up at Chimney height!! 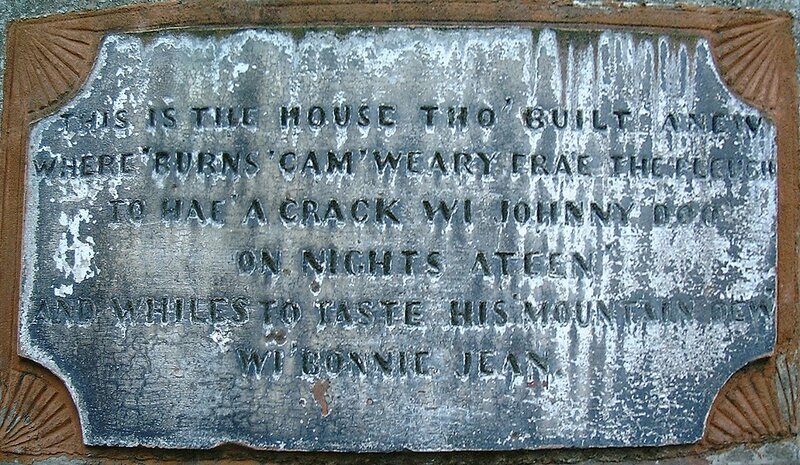 One can only imagine how readable this was from street level at that time. 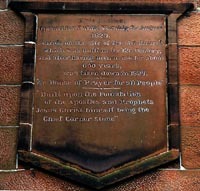 The plaque above the door of Mauchline Parish Church can also be seen. The plaque on the side of what in 2011 is R&R Sports. On the right, is a low res sample of slideshow 021. 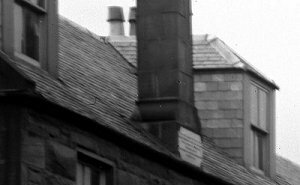 For a full image, see slideshow021.html. 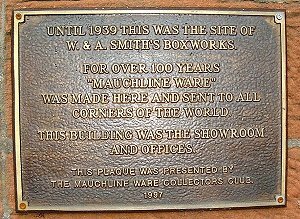 Not so much a Plaque but a dated building. 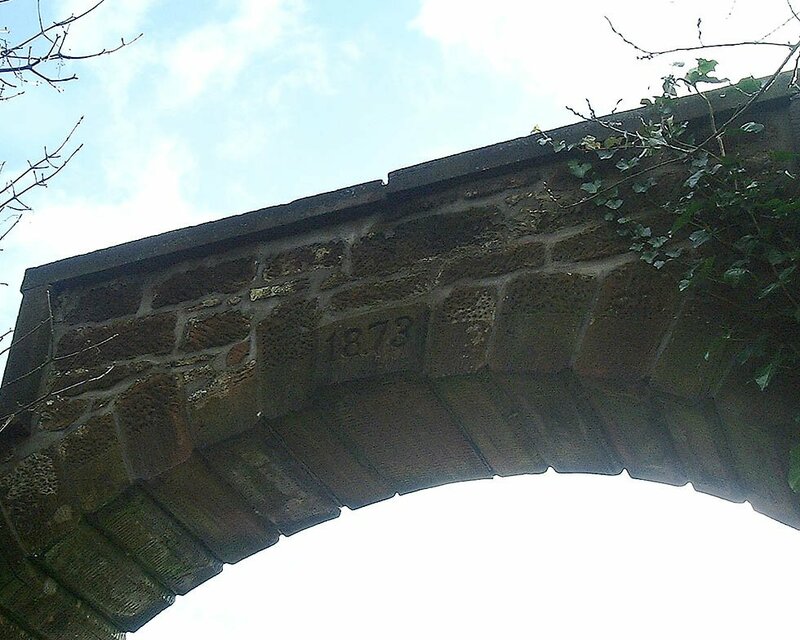 The date can be seen at the bottom right of the roof area, see image on the right. 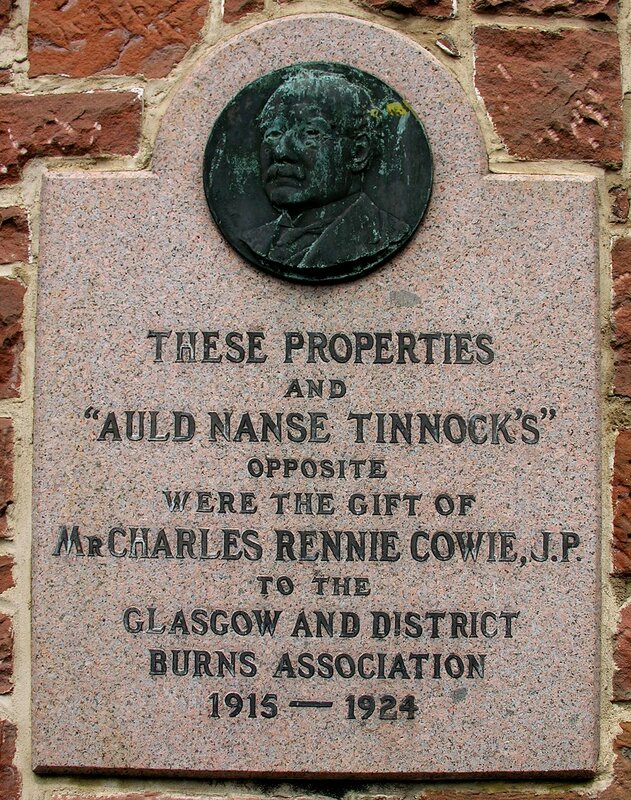 This we can assume was when the "House was built a new" as per the Plaque. 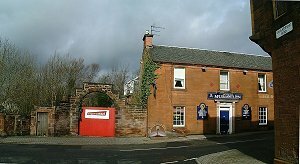 This site was the former location of the Whitefoord Arms in Burns' time. 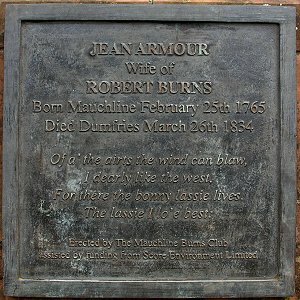 Plaques from both the Burns House Museum, as well as the Jean Armour statue at Mauchline Cross. 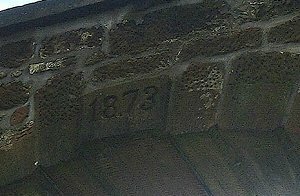 The date on the archway into Netherplace is on the back side and hidden from street view. 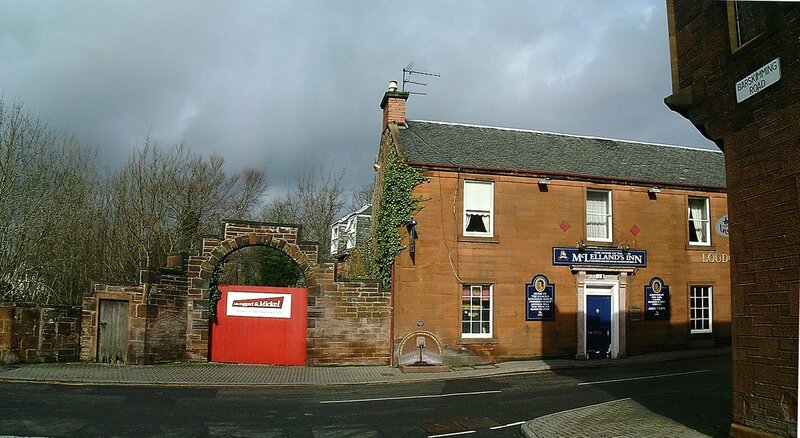 In days of old when it was the road into Netherplace of course, it would be easily seen, but today it is boarded up.